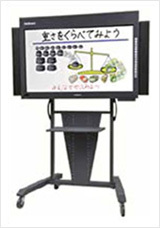 Hitachi Solutions always constructs fair and good relations with its business partners based upon mutual understanding. Hitachi Solutions values good partnerships, mutual understanding and reliable relations with all of its business partners. We closely communicate with our clients through strong partnerships and contribute to society by placing a high priority on creating a win-win relationship for both parties. We regularly share various divisional objectives and Hitachi Solutions company policies that have been drawn up from a medium- to long-term perspective. We also strive to continuously improve our relations based on mutual trust through periodic exchange of information at the top level with our partners. We share the latest cutting-edge fields and technological trends in line with our business objectives and carry out solution strategies that include human asset development. We are strengthening our ties with overseas partners with the aim of expanding business with a broad global perspective. Through periodic liaison meetings and the Partner Link Service, our communication infrastructure, we ensure sufficient communication even over long distances when face-to-face contact is difficult. Hitachi Solutions holds informative meetings on business policies. Following an explanation of management policies by Representative Executive Officer, President and CEO Isao Ono, the head of each division explains business priorities and partnership policies. In addition, each policy is discussed frankly bytop executives, and communication is further cemented during social gatherings. We are committed to observing all laws and regulations relating to procurement, respecting not only the letter but also the spirit of the law. As part of its vendor selection process, Hitachi Solutions will use appropriate procedures to determine if vendors are meeting their corporate social responsibilities (CSR), in addition to evaluating other factors such as the quality, lead time and price of goods for procurement, and the technical development capabilities of vendors. Only the Procurement Division is authorized to request quotations from vendors and issue letters of intent and purchase orders to vendors so as to eliminate unfair trading. Hitachi Solutions faithfully supplies necessary information to vendors. Furthermore, we endeavor to strictly manage any confidential business information we receive from vendors to ensure the non-disclosure of confidential information. Hitachi Solutions through its designated procurement departments may choose to inspect procurement goods that are delivered directly to its customers or work sites. Vendors are asked to cooperate with the inspection of delivered goods. We purchase components for our main hardware products, StarBoard, Johmon, and HibunAE CopyGuard, that adhere 100% to the RoHS Directive on the restriction of the use of certain hazardous substances so that we can offer environmentally friendly products.